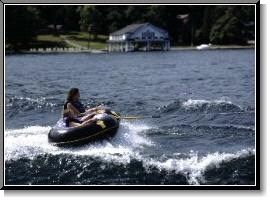 If you're looking for some excitement during your stay at Lake George, be sure to plan a visit to Mike's Lakesports. We have an entire fleet of waverunners available for rental. Nothing beats the exhilaration of skimming across the water on a high-powered waverunner! Our instructors and watercraft are top notch! 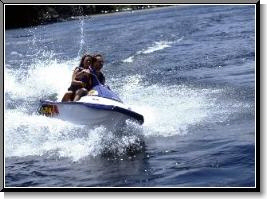 Mike's Lakesports will give you instruction on waverunners regardless of experience. If you're looking for something new and different, try water skiing or tubing. 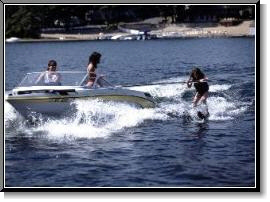 Mike's Lakesports is located at the Depe Dene resort, only three miles north of Lake George Village on Rt. 9N. If you're coming from the Northway (Interstate 87), take exit 22, cross over Rt. 9 to Rt. 9N, then take a left on Rt. 9N, and we're two miles on the right.